We're recognised as industry-leading stockists of bargain Samsung ML-2010P laser printer cartridges throughout the country. You'll not need to pay a lot to order quality Samsung printer toners with our company. You don't need to waste a long period of time to look Samsung ML-2010P cartridges down the high-street and find yourself spending too much. Get comprehensive peace of mind if you place an order for replacement Samsung ML2010P toner from us because of our rock-solid thirty day cash-back guarantee. Additionally, every order comes with completely free delivery, almost always delivered next day. 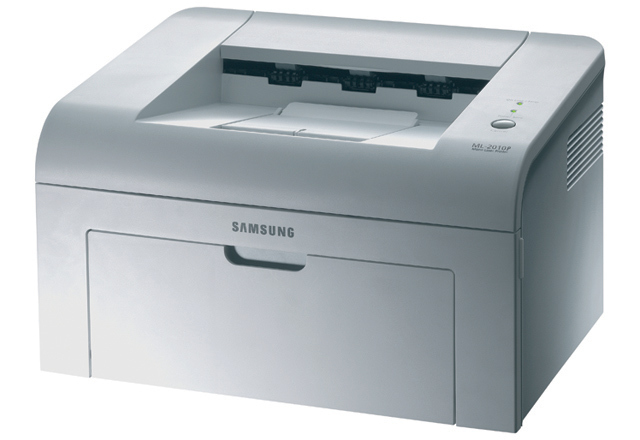 The inexpensive Samsung ML-2010P is a monochrome laser printer intended for personal use. It has a print speed of 20 ppm for A4 size and 22 ppm for letter A size, and it delivers output with a maximum resolution of 1200 x 600 dpi. This unit has a monthly duty cycle of 5,000 pages. The Samsung ML2010P laser printer could be better if it had faster print speeds. The Samsung ML2010P monochrome laser printer weighs only 12.8 lbs and measures 14.1 x 11.8 x 8.5 inches. It comes in a grey enclosure with a paper tray on the base and an output tray on top. The Samsung ML-2010P printer can handle 150 sheets at a time and comes with installed 8 MB RAM. Known as the Samsung ML-2010D3 toner, this replacement cartridge works reliably in the machine to print approximately 3,000 pages in black and white. The ML-2010P Samsung printer is easy to use and install. It delivers excellent text output and is very reliable. The Samsung ML-2010P black and white printer supports Linux, Mac and PC computers and offers USB connectivity. For a personal printer, this unit has high paper handling capacity. Though a speed of 20 / 22 ppm is decent, it is still quite slow for a laser printer. The Samsung ML 2010P mono printer does not come with a USB cable which must be bought separately. Though text output is excellent, the quality of graphics is mediocre. The Samsung ML2010P could undoubtedly be better if it had the ability to print in colour and also if it had networking options.